Sara Mullery has been energetically helping out within the Life Skills, Education, and Arts Program (LEAP) since her internship at Calvary began in May. She has been involved in various aspects of LEAP, and has even been teaching a weekly class called “The Challenge” that is designed to help women meet their personal goals. Sara is also planning a health fair for residents this fall. Read on and get to know Sara a little better! I have lived in Northern Virginia for almost my whole life. The “almost” excludes a two-year trip my family took around the country; we lived in an RV and visited almost 40 states! 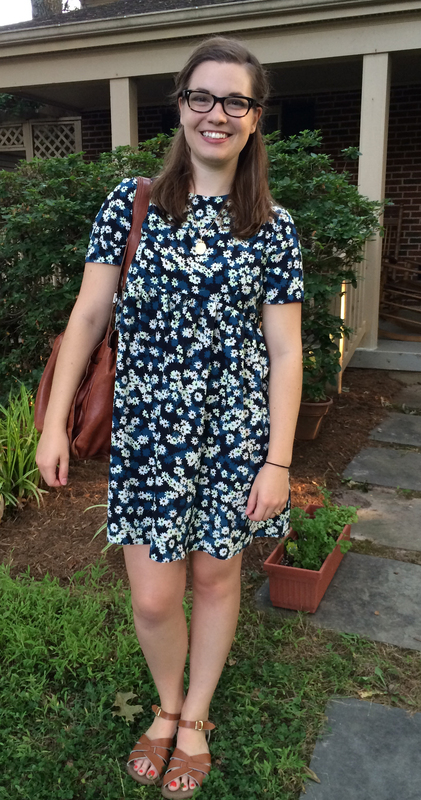 Now, my husband and I are settled in the Fairfax area and I’m studying public health at George Mason University. How did you come across the internship at Calvary? What drew you to it? I found out about this internship through a nonprofit that places volunteers and interns with organizations in the DC area. I was immediately drawn to Calvary’s mission! I had been interested in working with homeless women for some time and loved that Calvary isn’t “just a shelter” – it’s a place where women get love, care, and support for whatever issues they are facing. I was also excited by the idea of gaining hands-on experience with residents at Calvary. I’ve learned too much to begin to list! I have a much better sense of the issues that people who are homeless face. I’ve learned a lot that I can take with me and use to help people as I move on to other jobs and projects, from things like how to get housing to how to eat healthily while on SNAP benefits, to how to get a GED while homeless. I’ve also learned how to lead classes and talk about tough things, and that what you want to teach might not be what people need to learn about that day. Can you share a “standout story” from your experiences at Calvary? A few weeks into “The Challenge” we talked about the concept of self-talk (positive self-talk is the stuff that makes you feel good about yourself and the things that are going on in your life, while negative self-talk is the voice in your head that tells you things stink right now). Residents shared their strategies for positive self-talk and we had a great discussion about how to keep our chins up. The women really opened up and it was a wonderful, happy moment where everyone felt encouraged by the women in the room. Would you share one fun fact about yourself? Well, other than the fact that I’ve been to almost every state, I suppose it’s pretty fun that I own a hedgehog! 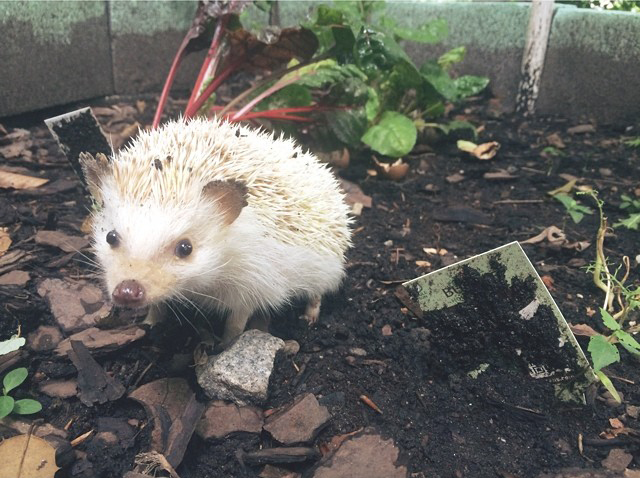 His name is Theo and he likes to run around my garden, eat strawberries, and keep me up all night making noise (hedgehogs are nocturnal).